“The greater your understanding, the more flexible and tolerant, the more compassionate you can be. You become like a perfect parent or an ideal teacher. You are ready to forgive and forget. You feel love toward others because you understand them, and you understand others because you have understood yourself. You have looked deeply inside and seen self-illusion and your own human failings, seen your own humanity and learned to forgive and to love. When you have learned compassion for yourself, compassion for others is automatic. An accomplished meditator has achieved a profound understanding of life, and he or she inevitably related to the world with a deep and uncritical love" (Gunaratana, 2011, p.9). 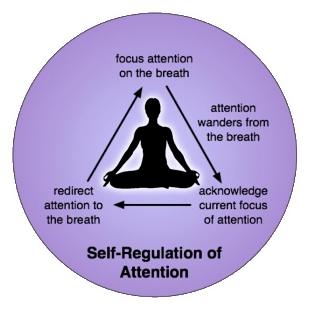 The figure below, reflects visually the steps of self-regulation of attention. 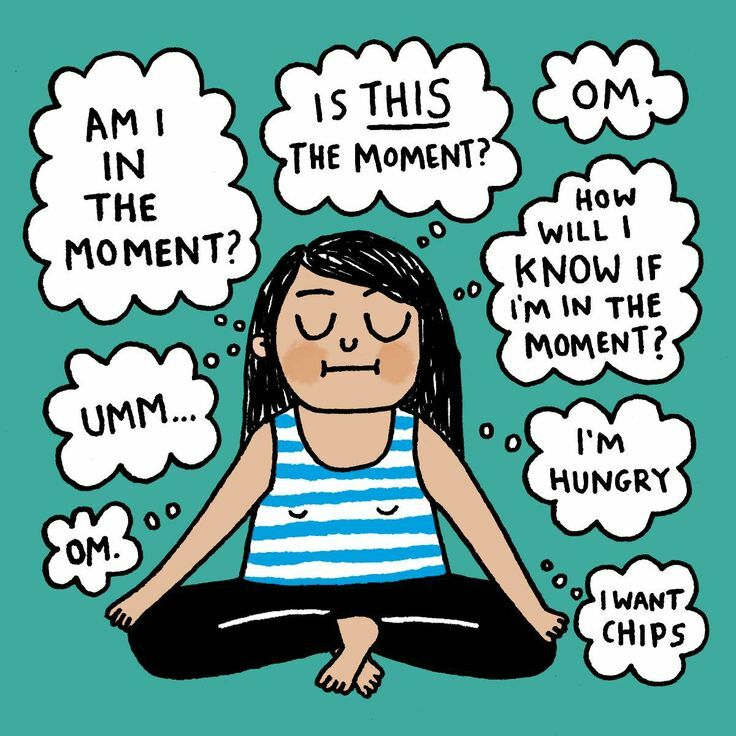 Maybe it is helpful for you too :) Find a steady position without conscious effort, position where you feel comfortable and relaxed. Therefore when you choose shavasana (lying down on your back and relaxing your body and mind), be aware that it is essential to remain awake and alert while going through the various stages which lead to successful meditation. Satyananda Saraswati (1996) has written: "The more steady you are in your position, the more you will be able to concentrate with a one-pointed mind"(p. 93). Also I would like to share with you Natural Breathing technique, which introduces practioners to their own respiratory system and breathing patterns. It is very relaxing and may be practised at any time. Awareness of the breathing process is itself sufficient to slow down the respiratory rate and establish a more relaxed rhythm. Abdominal breathing is the most natural and efficient way to breathe. Once this technique is part of your daily life and correct breathing is restored, there will be a great improvement in the state of physical and mental well-being. Sit in a comfortable mediation posture or lie down and relax the whole body. Observe the natural and spontaneous breathing process. Develop total awareness of the rhythmic flow of the breath. Feel the breath flowing in and out of the nose. Do not control the breath in any way. Notice that the breath is cool as it enters the nostrils and warm as it flows out. Observe this with the attitude of a detached witness. feel the breath flowing in and out at the back of the mouth above the throat. Bring the awareness down to the region of the throat and feel the breath flowing in the throat. Bring the awareness down to the region of the chest and feel the breath flowing in the trachea and bronchial tubes. Next, feel the breath flowing in the lungs. Shift the attention to the ribcage and observe the expansion and relaxation of this area. Bring the awareness down to the abdomen. Feel the abdomen move upward on inhalation and downward on exhalation. Finally, become aware of the whole breathing process from the nostrils to the abdomen and continue observing it for some time. Goldstein, E., & Calistoga, P. (2014). 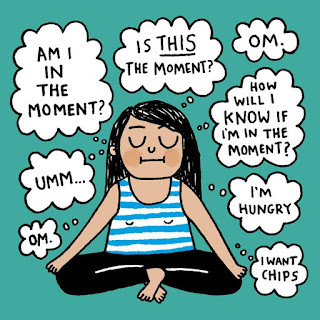 Mindfulness Made Simple : An Introduction to Finding Calm Through Mindfulness & Meditation. Berkeley, California: Calistoga Press. Miller, J. J. (2016). The Embodied Researcher. Meditation´s Role in Spirituality Research. In Lin, J., Oxford, L. R., Culham, T. (Eds. ), Toward a Spiritual Research Paradigm. Exploring New Ways of Knowing, Researching and Being (pp. 127-139). USA: Information Age Publishing Inc.